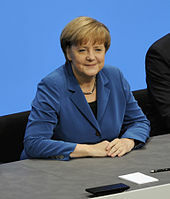 German Chancellor Angela Merkel said on Thursday that the Palestinians must recognize Israel as a Jewish state. “There was a series of internal discussions in Israel about this. It’s not like this was the most uncontroversial proposed legislation ever, so I asked several questions,” Merkel said at a joint press conference with Israeli Prime Minister Benjamin Netanyahu in Jerusalem. She was in Israel accepting an honorary doctorate from the University of Haifa. Merkel said that she discussed “possible solutions” to the Israeli-Palestinian conflict with Netanyahu. Angela Merkel’s comments are showing Israel that Germany has at least partially accepted one of its demands. I was unable to find a Palestinian response when I did a news search (in English) today. In general, the Europeans have promoted a ‘two-state solution,’ whereas the Trump Administration has decided that this is something that the Israelis and Palestinians need to work out together. The ‘with many’ referred to in this passage would seem to indicate that ‘many’ nations, as opposed to one or two, are agreeing to something. In the 21st century, the European Union includes much of the land and peoples that were part of the ancient Roman Empire–and it is dominated now by Germany. And it is the “prince” coming from that people that verse 27 of Daniel 9 is referring to. Thus, this prophecy tells us that a lower level European leader will somewhat officially start to rise up about 3 1/2 years before the great tribulation (and yes, according to Jesus, some “tribulation” does happen prior to the start of the Great Tribulation). Another is the fact that the “beast of the sea” of Revelation 13:1 fits with the beasts from the “great sea” of Daniel 7:2–and that sea is the Mediterranean Sea according to the Old Testament. Hence a power in Europe is the only region that could have an empire geographically like the old Roman one (for more details, please see Europa, the Beast, and the Book of Revelation). This is not an Arab empire, like some incorrectly claim (see also Can the Final Antichrist be Islamic?). Daniel 9:27 seems to be discussing some type of peace deal that the Europeans will either propose or at least one leader from Europe will endorse. Those that claim that the “prince to come” in Daniel 9:26 is Jesus and that He is the one that confirms a covenant with many for one week, etc., will not understand what is happening related to this deal. The “prince to come” is the final European King of the North. He is the one in Daniel 11:31 who fulfills bringing the end of the sacrifice and offering 3 1/2 years after the confirmation of the peace deal (the middle of a seven year prophetic week). Jesus did not destroy the city nor the sanctuary, nor is there a biblical record that He confirmed a seven-year covenant. Perhaps it should also be pointed out that for sacrifices to stop, they first must start–it may very well be that the Israeli government will allow them after the deal of Daniel 9:27 is put together and/or confirmed. Although they could start earlier, after the deal seems to be more likely–and we know that they do occur after the deal (the Bible does not state whether any begin prior to the deal). 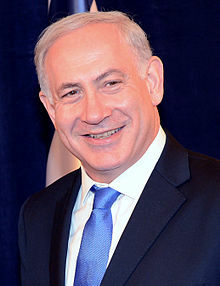 The Bible indicates that the Jews will consider the Germans as close allies (cf. Ezekiel 23:4, 22-26), but they (the Germans) will have made a deal with the Arabs and others against the Jews and others (Psalm 83:4-8) (see also Jerusalem: Past, Present, and Future). Furthermore, the Bible is clear that the coming King of the North will end up in Jerusalem. So, despite Angela Merkel’s ‘encouraging words’ to Israel, eventually, Israeli-Germany relations will not end well for Israel. This entry was posted on Sunday, October 7th, 2018 at 7:20 am	and is filed under Prophecy.